This week, Sony Pictures Television announced that fictional homebrewer Hank Schrader’s dreams will soon be reality. 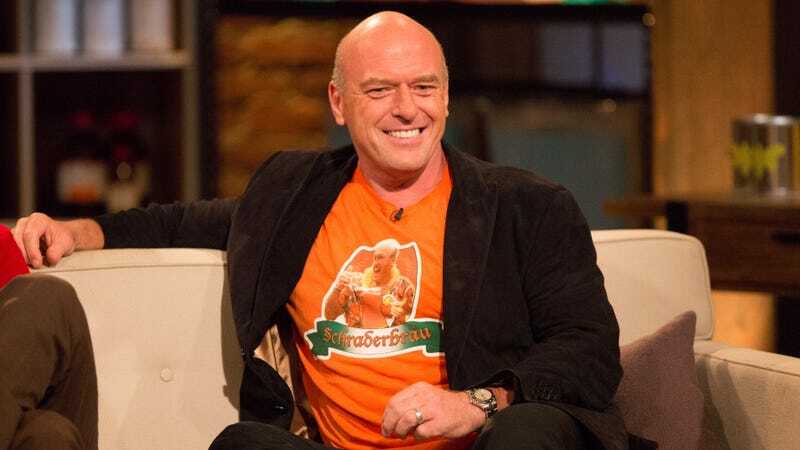 In the second season of AMC’s cultural juggernaut Breaking Bad, Agent Schrader of the DEA (played by Dean Norris of the TNT’s Claws) liked to turn to his homebrewing equipment for a little R&R, a hobby that resulted in a German-style lager that got its very own, extremely memorable, label (seen in Norris’ T-shirt, above). Now, Norris and Sony have partnered with California’s Figueroa Mountain Brewing Co. to bring Schraderbräu to life, “brewed to silky perfection,” in 22 oz. bottle format with a healthy 6.3 percent ABV. We’ve got one style now, which is a Märzen-style German lager, and we have plans for a winter ale, a special “Oktoberfest” style, a summer pale ale—maybe we’ll even get my buddy Gomie [Agent Gomez, from Breaking Bad] involved and do a cerveza. Remember When Donald Trump Didn&apos;t Know Why There Were 13 Stripes On The American Flag?